Expert Flute Teacher with over 25 years experience. Flute lessons are conducted in a positive and encouraging environment. I always aim to provide a rewarding music learning experience at each lesson no matter what age or level the student is. Lessons focus on developing the correct technique in all aspects of flute playing. I teach all ages & levels from beginners through to tertiary level. Students can do exams or learn just for fun. Flute exams are conducted through the Australian Music Examinations Board (AMEB). Flute lessons are conducted in Cairns, Queensland. 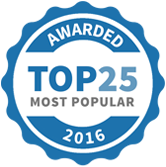 Flute Excellence has been selected as one of our Most Popular Tutors!